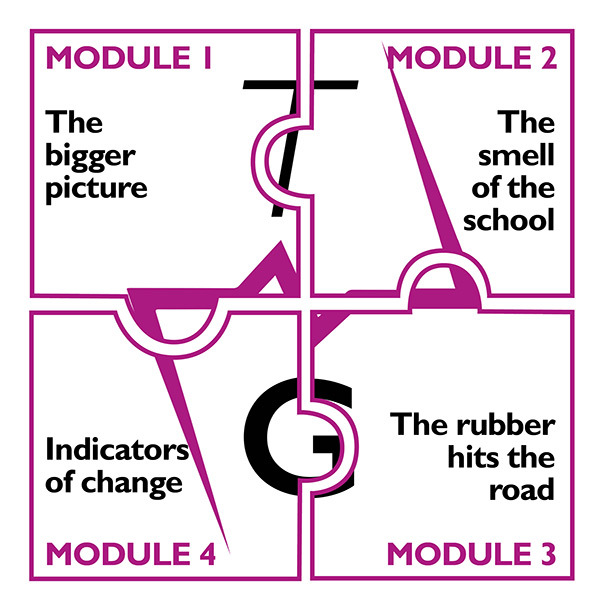 Thinking Governance has four modules, which together need around 6 hours. Doing them over four evenings is a great way to undertake the programme. At that tab, each module has a zip file download package which contains everything you need, including a set of video clips, templates and so on. They fit together, as the diagram below shows – making up a new way of thinking about the key task of strategic governance.